Clicking on the unindicated Close Votes resulted in the the Close vote candidate shown in the picture above. I seriously can't believe that this is by design, and if it is, I would respectfully request reconsideration as this is not only useless, but causes harm by projecting the false indication that there are no queues to work. 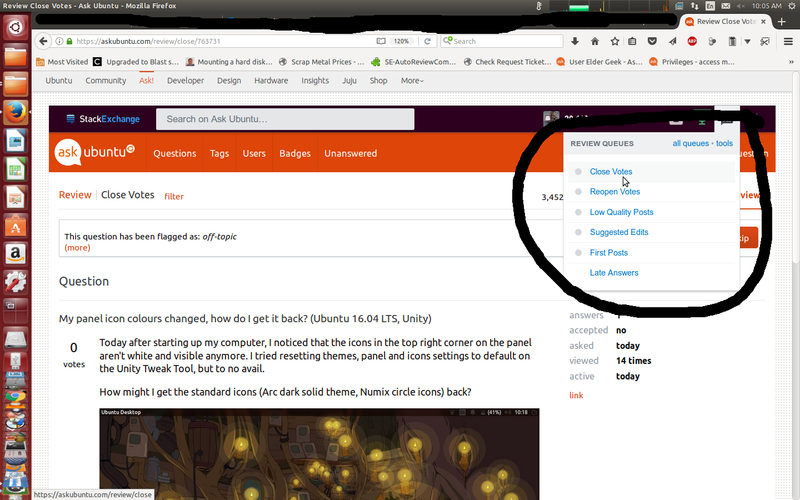 Looks like I was wrong and the new behaviour is intentional. It's not so much the fault of the new topbar itself, but rather an attempt to draw attention to review in different ways at around the same time. We're still monitoring review to see whether this indicator continues to perform well or if any other changes are needed. Not the answer you're looking for? 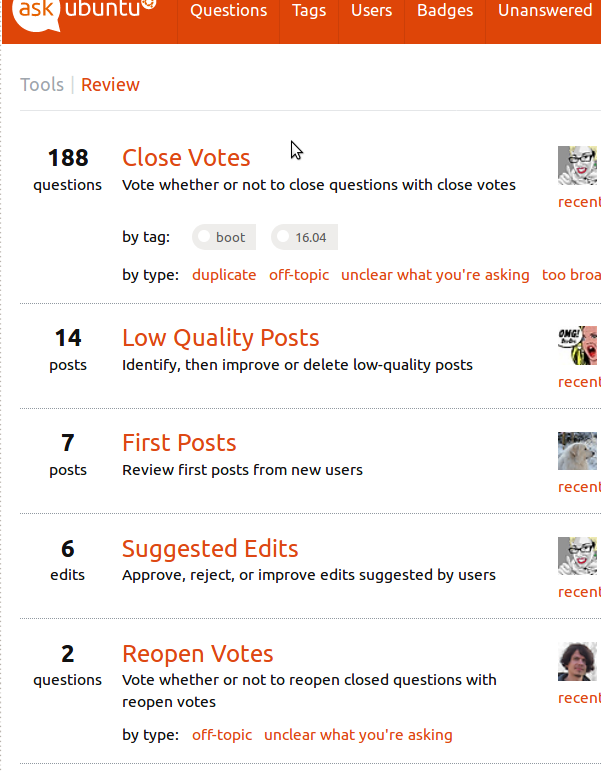 Browse other questions tagged bug status-bydesign design top-bar .